Last night Jaxs and I had the pleasure of dining at Res2go in Noksapyeong, an "American Style Teriyaki" restaurant that though boasting with all sorts of meats and seafood does have some vegetarian and vegan friendly plates. 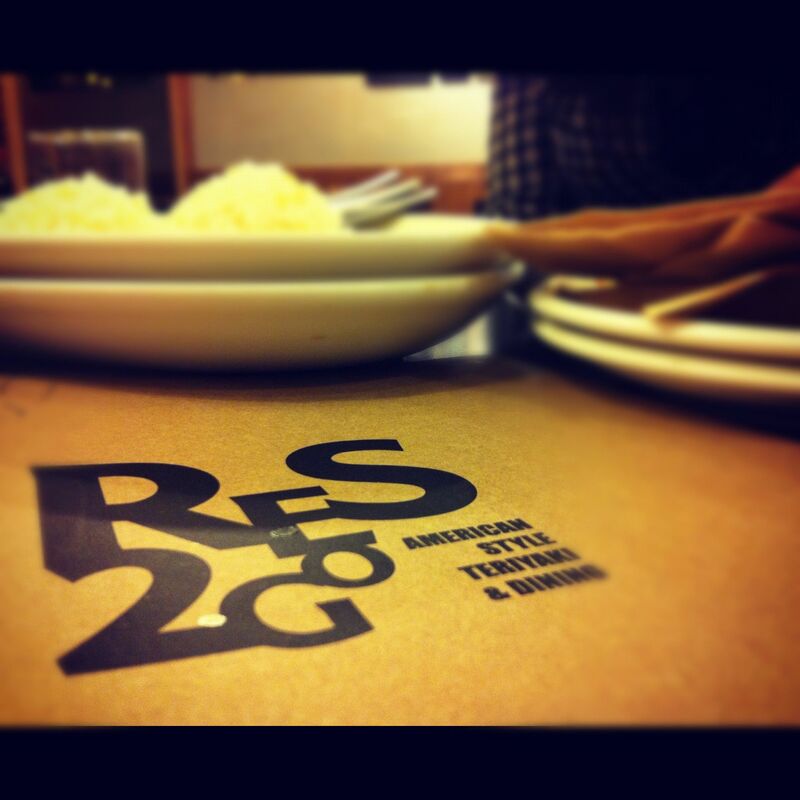 Res2go has several locations, check out their facebook page to find them! There are three listed vegetarian friendly plates and only one vegan plate, but if you state that you're vegan, the staff is both knowledgeable and accommodating. We started off our meal with a massive salad. This was so good, there were cherry tomatoes, sliced radishes, radicchio, sprouts, baby greens, and iceberg lettuce dressed with a teriyaki-based dressing/sauce that was prepared from scratch! 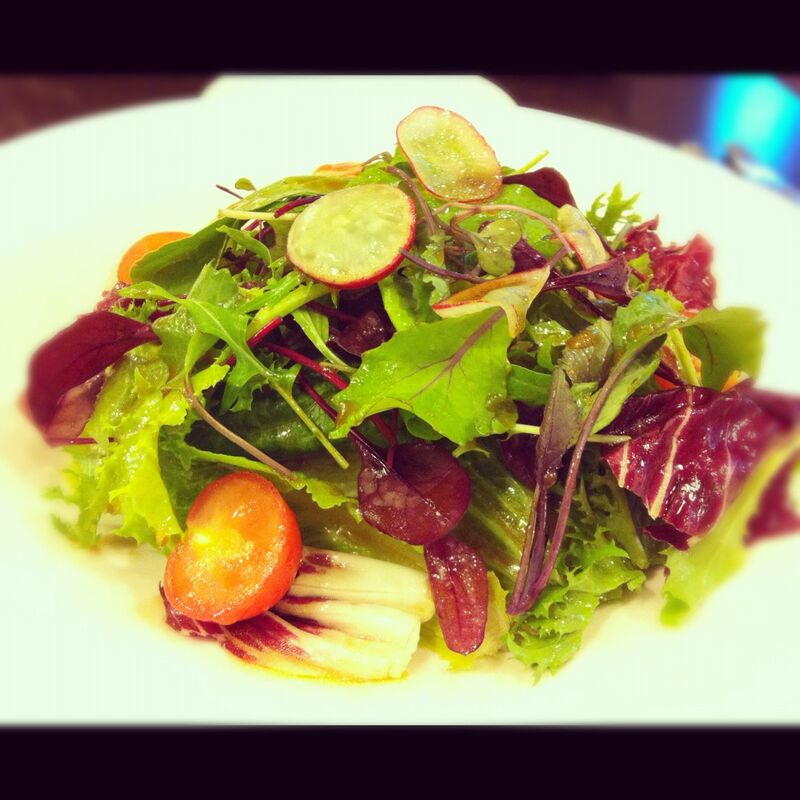 The sauce really made this salad, perfectly balanced with a hint of garlic. 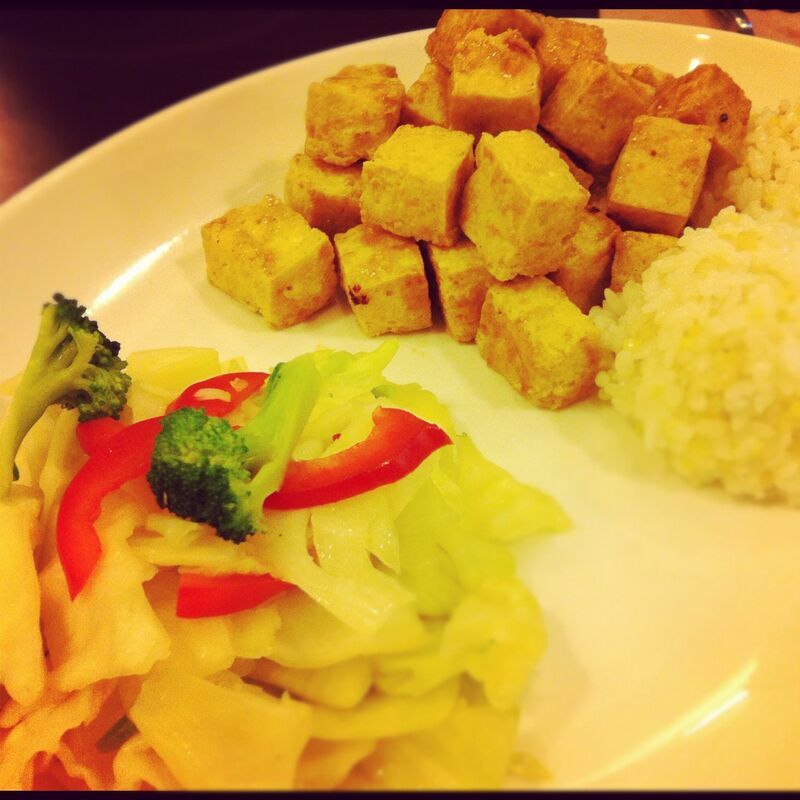 Next we shared a 두부 dish, the tofu was fried and served with two balls of rice and some steamed cabbage and broccoli. 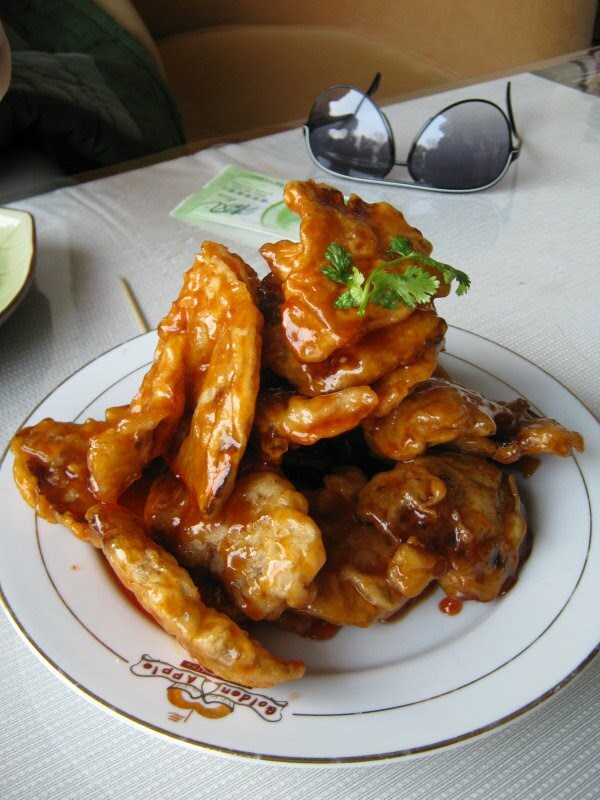 Two sauces were set on the table for diners to use freely, a spicy red sauce and a teriyaki sauce. I really liked this concept because we could season and drench our meal as generously or sparingly as we preferred. 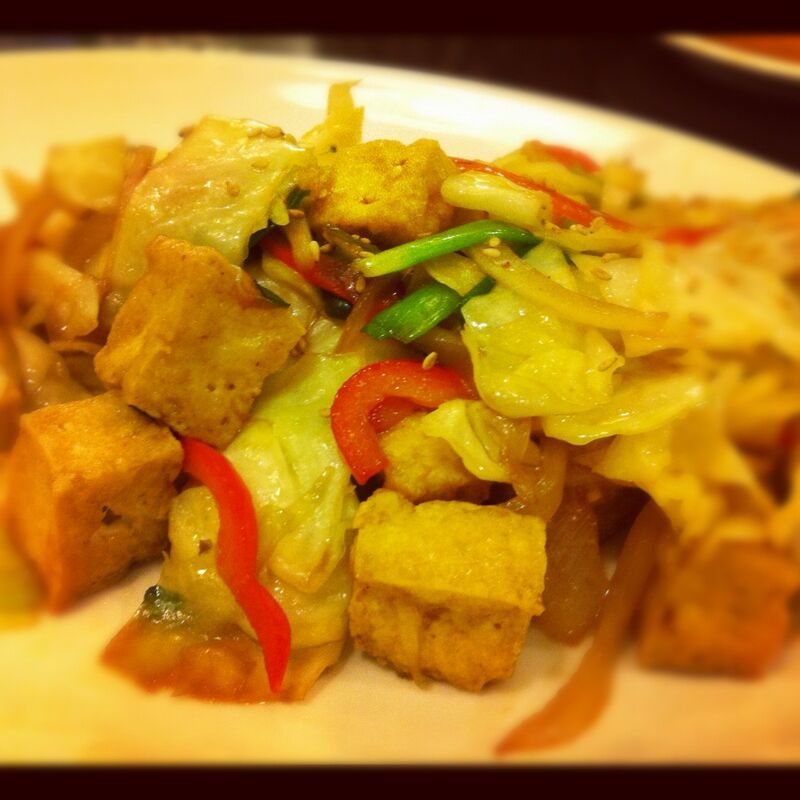 The tofu was simple, pure, and crunchy. The textural difference worked with the sauces, the teriyaki stuck well to the rippled tofu skins while the red sauce clung to the crunchy bits. Deciding which sauce I preferred was the only challenge, both were great though! 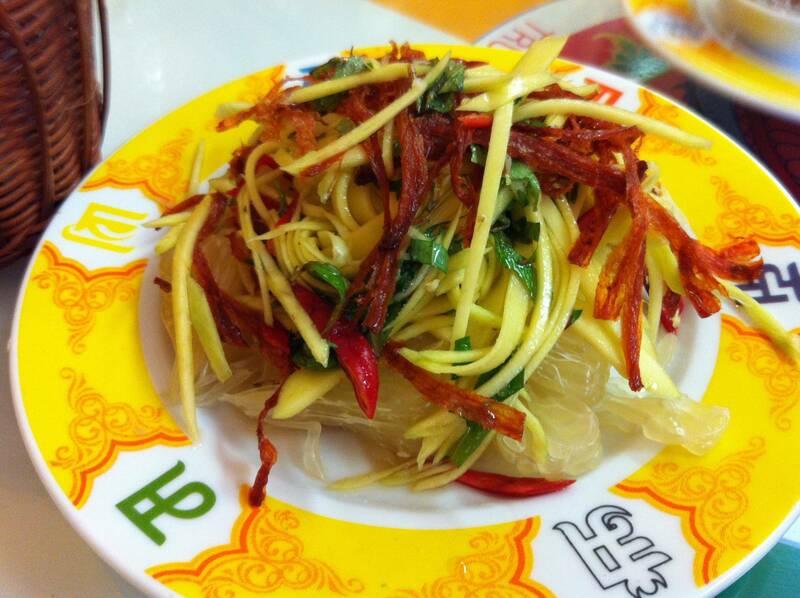 The stir-fried vegetable dish was prepared specially vegan. The sauce that it is usually prepared with apparently has some sort of animal product so we got a pretty simple fry up. I wish the dish had more color, it was very straight-forward, but I believe this restaurant is meant to be a fast-food type of place so expecting something ornate and intricate is a bit silly. This dish is another one that paired well with the sauces we were given. I'm not sure what the original sauce base is but this was rather satisfying. Res2go teriyaki grill is a comfortable, low-key, and satisfying place to eat. 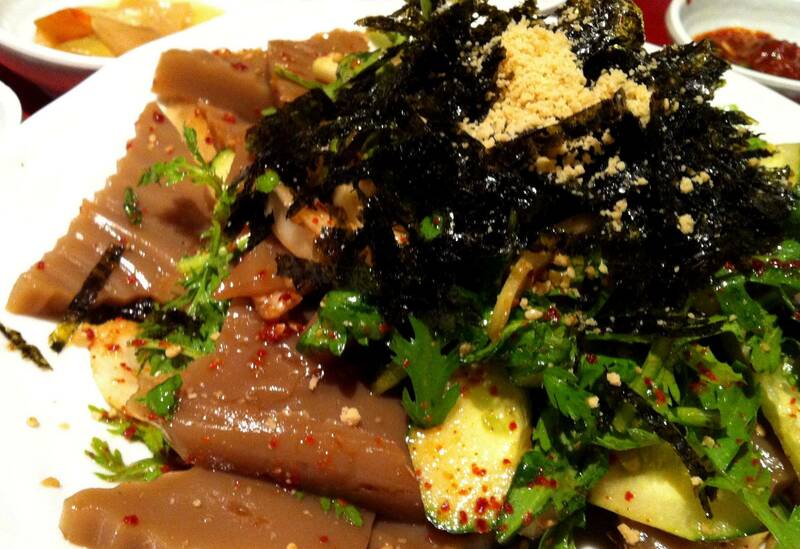 For vegans or vegetarians wanting more than just tofu and veggies, you may want to go elsewhere. But if you want something affordable (everything is around 7-10,000 원!) and generous in portion, Res2go is a good place to make a pit stop. Everything is filling, and option of sauce amount is great. As much as I love sauces and dips, too much can ruin a dish; being able to work with your preference is something I wish more restaurants would do. Jaxs and I didn't touch the rice and still left pleasantly full. It's comfortable, quick, filling, and wallet-friendly. Will I be hitting this place up again? Noksapyeong station exit 2 (녹사평역 2번) on line 6, walk straight and cross the street through the underground tunnel. Make sure to exit out of the right side and walk past Standing coffee, Res2go Teriyaki grill will be on your left side!